Search engine optimization, which is also known as SEO, can play a major role in the amount of business your company gets from the web. If your business is dependant on customers visiting your website, then you should take a second and ask yourself if you’re happy with the amount of business you’re receiving from your site. If the answer is yes and you’re overloaded with work, then you probably already had your site optimized or chose other means of advertising. 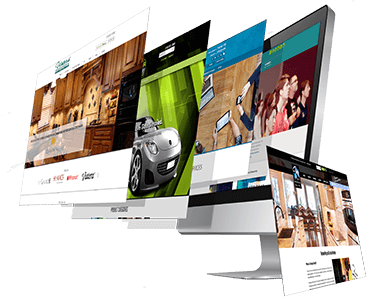 However, being that you’re reading this article, you are probably in search of answers or suggestions as to creating more traffic to your website. Now that we got that out of the way, let’s address why optimization is important. For starters, who doesn’t want more business, right? I mean business is money and almost everyone I know enjoys making more money. So, with that being said, seo is an essential part of the online community when it comes to actually making money. The reason I’m saying this is because the web is a vast place. Whatever your company sells or offers as a service is more than likely offered by many others. Some of your competitors have probably already had their site optimized. My point being is that there are probably 100’s if not 1000’s of sites ahead of you in the search engines. A professional search engine optimization can rank your site and bring EFFECTIVE traffic your way. Let’s use an example. Let’s say you’re selling candles and you want your site to come up in Google when some one types in “candles”. Now there is definitely some competition going on to rank for that key term, but not a whole lot. You’re competing with roughly 7 million other sites using that term. Now you’re probably saying to yourself 7 million! That’s a lot! It may sound like a lot, but it’s not that bad. The term “candles” was searched a total of 2,580 times over the last 110 days. This is according to a very accurate tool we use to find key terms to use. Let’s say you rank #1 for that term and you get everyone who searched for that term to click on your site. Now, assuming you get 10% of the total traffic to complete a sale, that is 258 sales. Assuming a candle is 5 dollars and each person only purchased ONE candle. 5×258 = $1290 Not bad right? The hard part is done. That’s getting people to your site. Now all you have to do is sit back, relax, and watch sales increase. The possibilities are endless! I simply want to mention I am new to weblog and truly loved your page. Very likely I’m likely to bookmark your website . You definitely come with perfect articles. With thanks for revealing your website page.